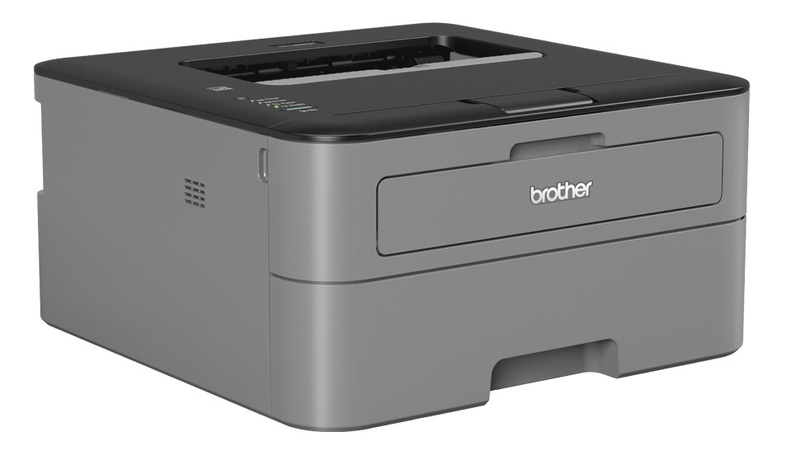 The Brother HL-L2300D printer is an affordable, small office printer that gives high-quality printing results and speed. Printer consumables include the drum unit (DR-2300) and the toner cartridge (TN-2320) and there are a few options to make printing with the HL-L2300D printer even more affordable. The printer is truly cost effective and can be bought currently from around £90 (Summer 2015). With the HL-L2300D’s high speed printing of up to 26 pages per minute and a document capacity of 250 pages, this printer is ideal for the small home office or even as a personal printer in larger offices. It also has an automatic duplex printing facility. This is where it prints on both sides of the paper without having to refeed the paper after the first print. It does this duplex printing by first printing on one side and then feeding the paper inside the printer to print on the second side. You don’t have to use the duplex printing feature obviously, but it does help reduce paper costs. The printer also has a manual feed slot which takes paper or envelopes of differing sizes up to A4. The HL-L2300D printer is really easy to use and Brother has a long history of developing easy-to-use and simple display and controls. This Brother comes with 4 LED lights which gives the status of the toner and drum and also displays any error conditions. The lights provide this information by either flashing or staying on constant, which signifies different conditions. This is all fully explained the HL-L2300D’s user manual. Connection to a PC is through a USB cable and there is no wireless connectivity. The Brother HL-L2300D printer comes with a DVD that contains the driver software. This includes a Windows (or Mac) program that enables the printer configuration to be changed via the software. As with most printers these days the Brother comes with a low capacity starter toner cartridge that delivers about 750 pages of normal density print. 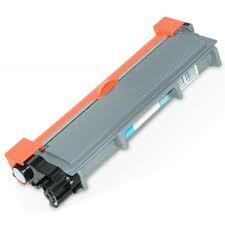 The printer toner cartridge and the drum units are separate consumable items that will need to be changed with use. The printer drum has the code DR-2300 and gives approximately 12,000 pages and costs about £57 (inc VAT) for the Brother original. If you use the toner cartridge beyond this time, the printer will indicate that the drum unit has come to the end of its life and will stop any further printing. The printer does this by first flashing the drum light, the second yellow LED to indicate the drum is coming to the end of its life. This is time to get a new one in so you don’t get caught out. After a few more hundred pages the light will stay on permanently indicating drum should be replaced. After a little while longer the yellow drum light and the error light will stay on together, indicating “Drum Stop” and you won’t be able to do any more printing until a new drum is inserted. The Brother HL-L2300D toner cartridge has the code TN-2320 and has a capacity of 2600 pages and costs about £50 (inc VAT). 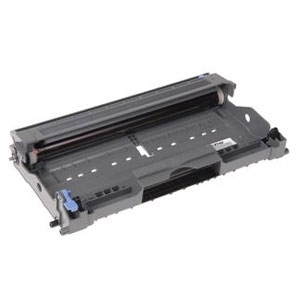 A lower capacity version is available with a capacity of 1200 pages and this has the code TN-2310 and costs about £32 (inc VAT) for the original Brother item. The LED lights work in a similar way as the drum unit. When the toner is getting low, the toner LED starts to flash yellow. When it is empty, the toner light stays on continuously. The printer will then stop printing, but this can be bypassed and you can possibly continue printing for a short while longer. Please see your manual to understand how this works. Here is a link to the manual on the Brother UK site Brother HL-L2300D Manual Download. The Brother TN-2320 toner cartridge is also compatible with the following printer models. The HL-L340DW, HL-L2360DN, HL-L2365DW, the MFC-L2700DW, MFC-L2720DW, MFC-L2740DW, the DCP-L2500D, DCP-L2520DW, DCP-L2540DN printers. The toner cartridge fits in to the drum unit and both are removed as one unit. So if replacing either, both are removed from the printer before they are seperated. Original Brother Toners and drum consumables are very expensive and you may like to shop around for a good quality compatible unit. Remanufactured items are available but they tend to me more expensive that compatibles. Compatible toners and drums are very much like the originals but cost a lot less. Prices would normally start from £25 (inc VAT) for each item. There is quite a range in quality with compatible supplies, so it is best using a supplier that has a good reputation for quality and there customer support. We stock a good quality toner and drum for the HL-L2300D printer and also offer a full no-quibble guarantee so in the unlikely event of you needing our support we are only a phone call away.